The former capital of Hindustan, is a city on the banks of the river Yamuna. 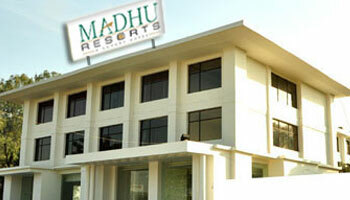 Madhu Resorts beautifully landscaped, spread over 4 acres of land located at Agra- Delhi highway (NH-2) with in a Km from Sikandra, the historical monument. Hotel warmly welcomes weary travelers to Agra as they drive in from Delhi and Jaipur en route to Taj Mahal & other historical tourist spots. Parking, Room Service, Currency Exchange, Breakfast Services, Airport Transportation, Backup Generator, Laundry Facilities, Doctor on Call, Security Guard, Travel Counter. Toothbrush/Razor on Request, H/C Water, Cable/Satellite TV, House Keeping, Air Conditioning Room, Attached Bathroom, DVD Player, Iron/Ironing Board, Wakeup Calls.